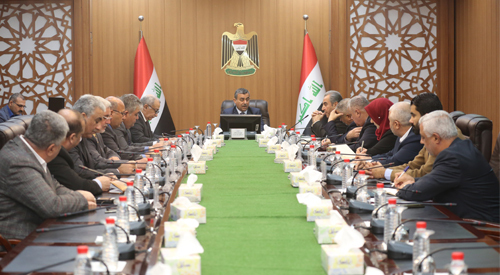 The Secretary General of the Council of Ministers d. Mehdi al-Alaq meeting to review the procedures related to the development of the tourism sector in Iraq, especially religious tourism, in light of the government's trend towards the advancement of the private sector. The meeting, which was held in the presence of the heads of the two supreme coordination bodies between the governorates, advisors and general managers from the relevant authorities, in addition to representatives of the Shiite and Sunni Waqfin and the Iraqi Hotel Association, discussed the challenges facing the religious tourism sector in Iraq, based on observations made by the concerned authorities. The meeting concluded with a number of recommendations and suggestions, the most important of which is the establishment of the National Council for Tourism and Antiquities, the opening of new airlines with some countries or their activation, the draft of the tourism advisory note to the Council of Ministers and the speedy completion of the electronic visa system.